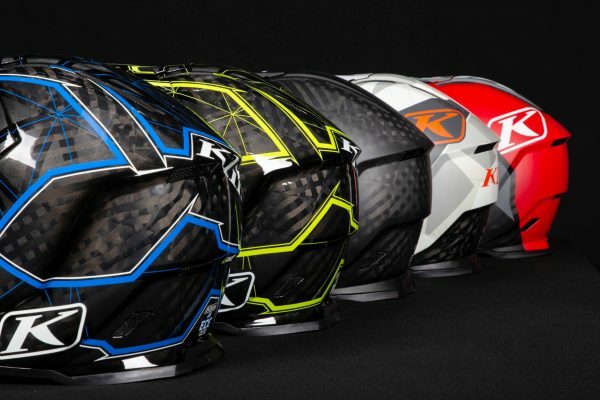 KLIM's F5 Helmet in a new Look! Hi-tech in a new look! Revolutionary ventilation, low weight and next-gen safety features characterize KLIM's F5. It offers the highest level of comfort throughout the day and from now on in a brand new design! • Extremely efficient ventilation system: 18 inlet openings and 8 outlet openings, which ensure optimal heat dissipation at any speed and even when stopped. • Thanks to innovative design technology and high-quality materials, ECE testing standards are easily met. The helmet is available in 3 new attractive designs („Camo White“, „Demolish Blue“, „Demolish Green“) and in addition in the colors "Ion Red" and "Ghost Black" in sizes from SM to 3XL at the recommended retail price of €499.00. KLIM off-road collections took shape in the mountains, forests and deserts of the American West, and were designed for the harshest conditions in the world. With the F5 helmet, you’re ready for the toughest Enduro kilometers and unforgettable moments in life. That’s KLIM. And that’s true off-road!